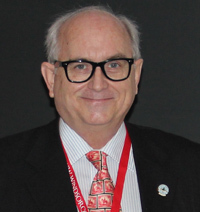 Numismatic Contributions of Daniel W. Gosling, F.R.C.N.A. Association memberships: Royal Canadian Numismatic Association, American Numismatic Association, Ontario Numismatic Association, Canadian Paper Money Society, Numismatic Bibliography Society, Edmonton Numismatic Society, Calgary Numismatic Society and Mid-Island Coin Club. Served six years on the Executive, including two years as President. While President all 2009 Strategic Goals were achieved except increased advertising in The CN Journal. Results during the 2009–2011 term as President included: development of NumisNotes; granting of Charitable Status for CAFNE; development of an Advocacy Committee; increased French language content on Web site and in The CN Journal (including the addition of colour images in half of each issue); the issuing of permanent membership cards; the development of a National Youth Program; and improvements in administration and accounting operations. Web site (2004–2010): Greatly expanded content including uploading digitized back issues, individual pages for Awards, Convention medals and online payment of new and renewal dues. Prepared pages with images of Convention activities. Librarian (2005–present). Extensive formatting and editing of Library Catalogue, including conversion to pdf and uploading/linking on the RCNA Web site. Digitize and reformat slide show text as each was ordered. Wrote 35 articles, 83 Closing Comments columns, 29 Beautiful Bank Buildings columns and 6 Quiz’s for The CN Journal. 1. The CN Journal. 2007–2014. Introduced more columnists, expanded content and improved on-time delivery. 2. CNA/RCNA Convention Banquet Brochures (2005–2010, 2012-2014). 3. CNA/RCNA Souvenir Programs (2007 and 2009). Edmonton Numismatic Society: J. Wray Eltom Award (1998). Fellow of the Canadian Numismatic Association (F.C.N.A., 2004). CNA/RCNA Presidential Awards: Web site (2004), Various capacities (2007, 2008 2009, 2012, 2013 and 2014). American Numismatic Association: Presidential Award: (2007 and 2014). RCNA Past President Award (2011). Royal Canadian Mint: Award for “Enduring support of the mint and service to the RCNA” (2011). “1977 Nickel Dollar Varieties” (1988 Edmonton Coin Club Meeting). “Nickel Dollar Varieties” (1994 Edmonton Coin Club Meeting). “Magnifying Glasses” (2001 Edmonton Coin Club Meeting). “Ten Steps to Winning the Louise Graham Club of the Year Award” (2004 Toronto C.N.A. Convention Club Delegates Breakfast). “The Life and Times of J. Douglas Ferguson” (2007 Niagara Falls C.N.A. Convention Symposium). “Creating an Award Winning Newsletter in the Electronic Age” (2008 Ottawa C.N.A. Convention Club Delegates Breakfast – with Paul Petch). “Alberta Prosperity Certificates” (2009 Edmonton C.N.A. Convention Symposium). “The Dirty Thirties and Funny Money” (2009 Nickle Arts Museum, Calgary). “A Review of the History and the Notes of ‘The Old Bank’ (Bank of New Brunswick)” (2010 Saint John RCNA Convention Symposium). “I Know the Way Out” (2011 Windsor RCNA Convention Club Delegates Breakfast). “Why Join?” (2011 Calgary Numismatic Society Meeting, Calgary). “Certificates for a New Prosperity” (2014 American Numismatic Association World's Fair of Money, Chicago). “The Numismatic Literature of James E. Charlton” (Ottawa 2000). A Charlton Standard Catalogue Canadian Coins (2007–2011). A Charlton Standard Catalogue Canadian Government Paper Money, 24nd ed. (2012). The Guide Book of Canadian Coins and Tokens, 1st ed. (2012).